Conceptualisations of open educational practices (OEP) vary widely, ranging from those centred primarily on the creation and use of open educational resources (OER) to broader definitions of OEP, inclusive of but not necessarily focused on OER. The latter, referred to in this paper asexpansive definitions of OEP, encompass open content but also allow for multiple entry points to, and avenues of, openness. This paper explores the theoretical and empirical literature to outline how the concept of OEP has evolved historically. The paper aims to provide a useful synthesis of OEP literature for education researchers and practitioners. Cronin, C. & MacLaren, I. (2018). Conceptualising OEP: A review of theoretical and empirical literature in Open Educational Practices. 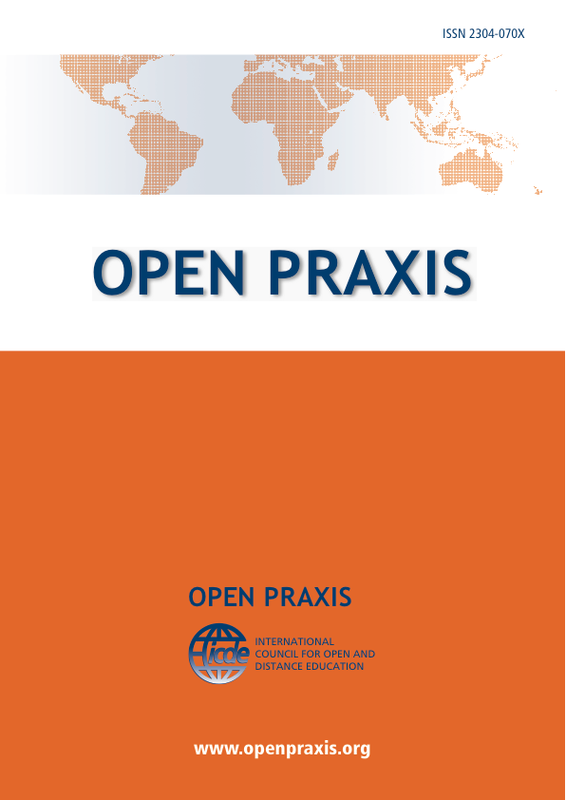 Open Praxis, 10 (2), 127-143. International Council for Open and Distance Education. Retrieved April 21, 2019 from https://www.learntechlib.org/p/183580/. Atenas, J., Havemann, L., & Priego, E. (2014). Opening teaching landscapes: The importance of quality assurance in the delivery of open educational resources. Open Praxis, 6(1), 29–43. Costa, C. (2014). The habitus of digital scholars. Research in Learning Technology, 21(0). Coughlan, T., & Perryman, L.-A. (2015). Learning from the innovative open practices of three international health projects: IACAPAP, VCPH and Physiopedia. Open Praxis, 7(2), 173–189. Https://doi.org/10.5944/openpraxis.7.2.188Couros,A. (2010).Developingpersonal learning networks for open and social learning. In G. Veletsianos (Ed. ), Emerging Technologies in Distance Education. Edmonton, AB: Athabasca University Press. Couros, A., & Hildebrandt, K. (2016). Designing for open and social learning. In G. Veletsianos, Emergence and Innovation in Digital Learning: Foundations and Applications. Edmonton, AB: Athabasca University Press. Deimann, M., & Sloep, P. (2013). How does open education work? In A. Meiszner & L. Squires, Openness and Education (Vol. 1, pp. 1–23). Emerald Group Publishing. DeRosa, R., & Robison, S. (2017). From OER to open pedagogy: Harnessing the power of open. In R.S. Jhangiani & R. Biswas-Diener (Eds. ), Open: The philosophy and practices that are revolutionizing education and science. London: Ubiquity Press. Freire, P. (1996). Pedagogy of the Oppressed. Harmondswor th: Penguin. Geser, G. (2007a). Open Educational Practices and Resources: OLCOS Roadmap 2012 (P. 150). Horwitz, R.A. (1979). Psychological effects of the “open classroom.” Review of Educational Research, 49(1), 71–85. Veletsianos, G. (2015). A case study of scholars’ open and sharing practices. Open Praxis, 7(3), 199–209. Https://doi.org/10.5944/openpraxis.7.3.206Veletsianos,G., & Kimmons, R. (2012a). Assumptions and challenges of open scholarship. The International Review of Research in Open and Distance Learning, 13(4), 166–189. Http://dx.doi. Veletsianos, G., & Navarrete, C. (2012). Online social networks as formal learning environments: Learner experiences and activities. The International Review of Research in Open and Distributed Learning, 13(1), 144–166. Http://dx.doi.org/10.19173/irrodl.v13i1.1078Veletsianos,G., & Stewart, B. (2016). Discreet openness: Scholars’ selective and intentional self-disclosures online. Social Media+ Society, 2(3), 2056305116664222. Https://doi. Wiley, D., Bliss, T.J., & McEwen, M. (2014). Open educational resources: A review of the literature. In J.M. Spector, M.D. Merrill, J. Elen, & M.J. Bishop (Eds. ), Handbook of Research on Educational Communications and Technology (pp. 781–789). Springer New York.